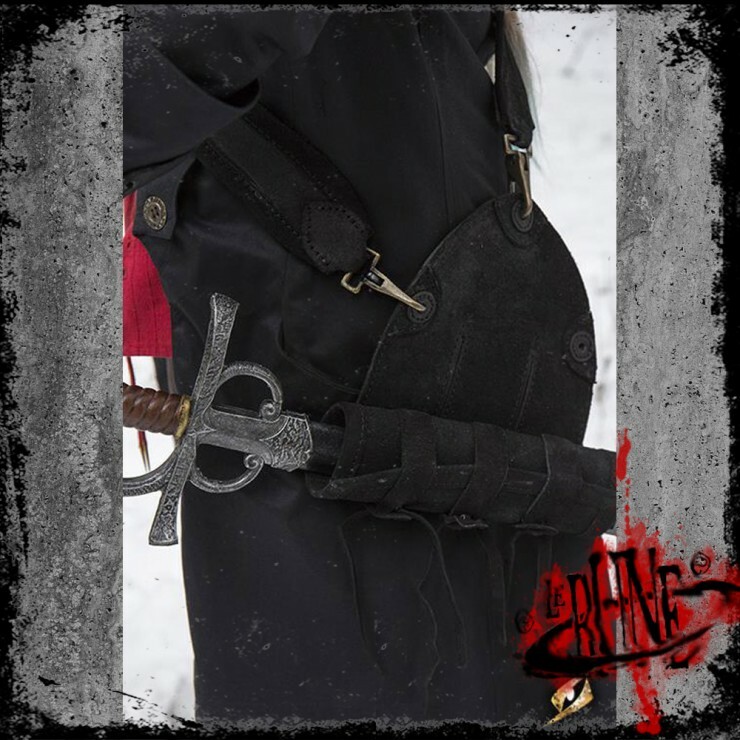 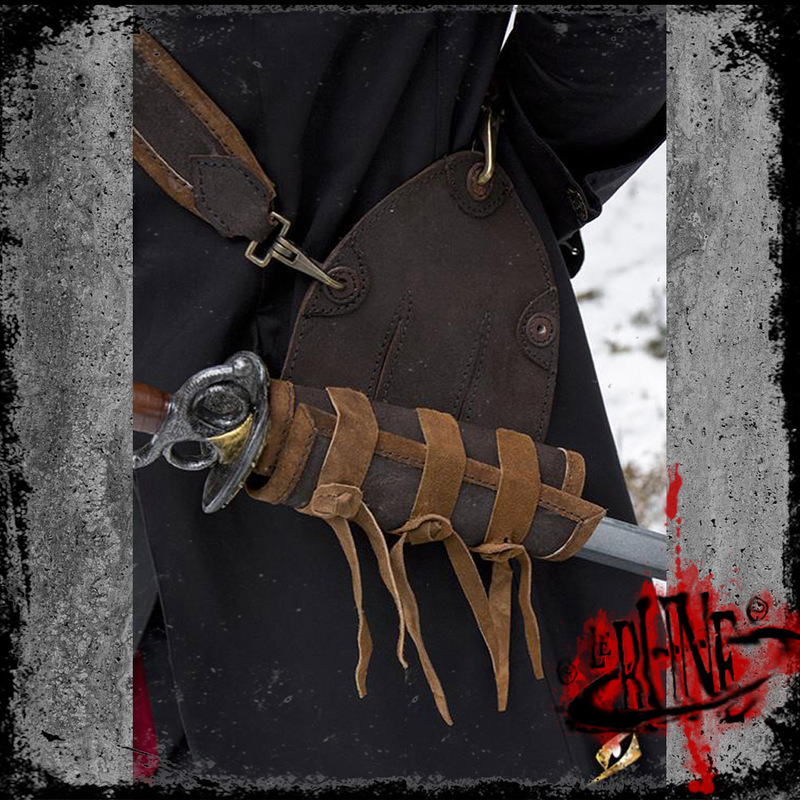 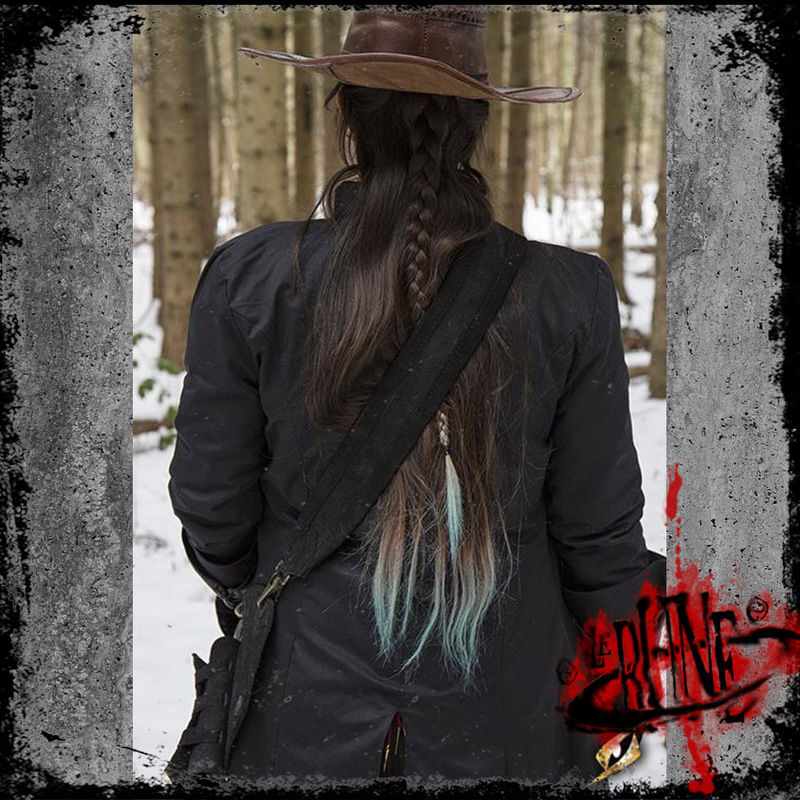 The Musketeer Baldric offers more support than a standard waist belt as a way to carry your weapons. 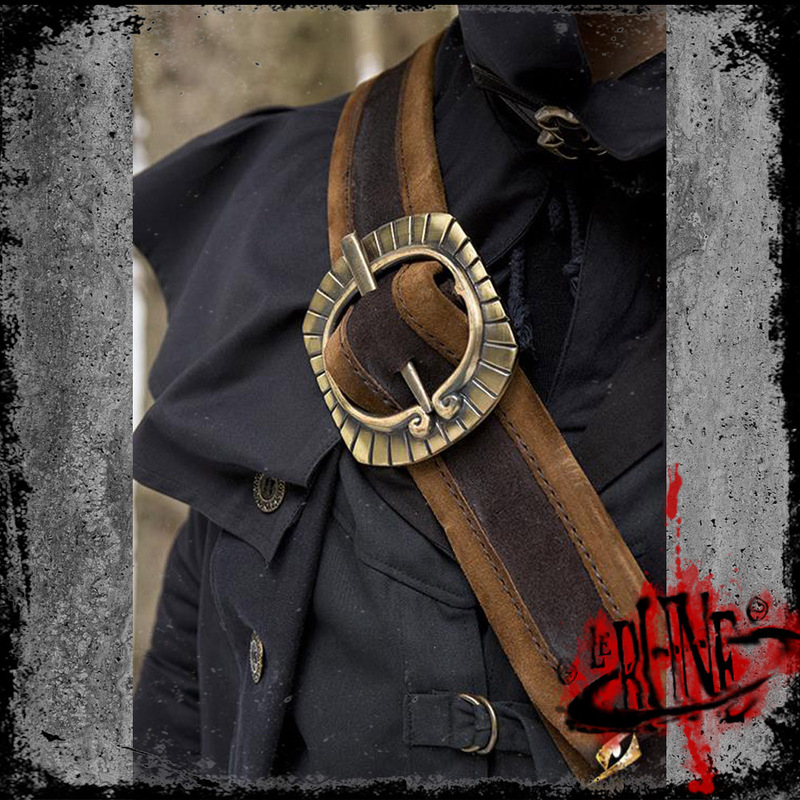 Using soft, but sturdy, suede leather, this baldric is both comfortable and durable. 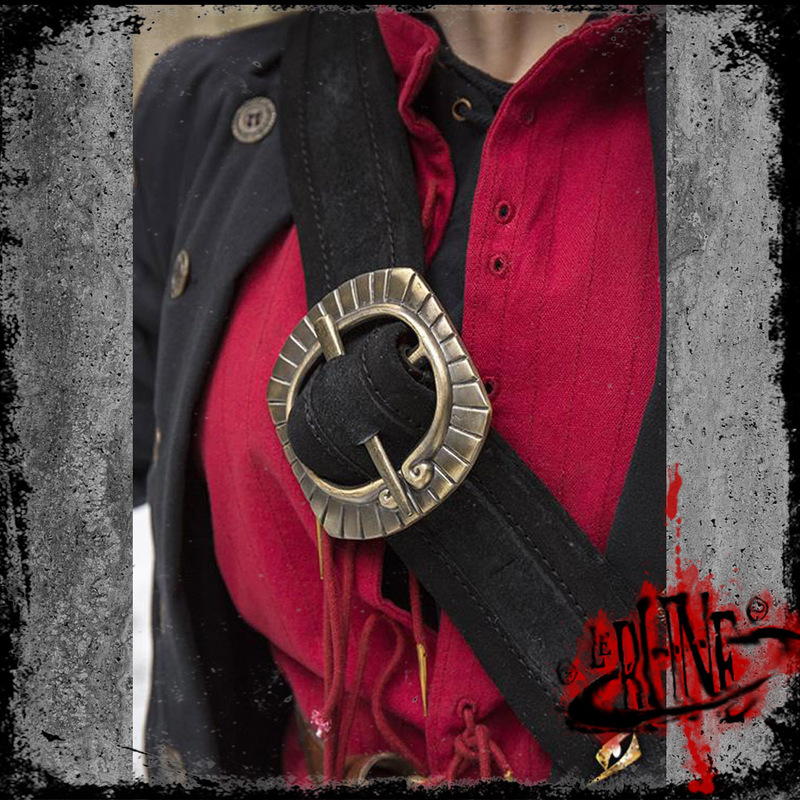 The belt strap is secured using a brass buckle painted to look weathered, while the scabbard is adjusted using leather ties and can be switched to either the right-hand or left-hand side. Almost any outfit will benefit from this authentic looking weapon holder, and at only 34.46 oz., it won’t burden your kit with unnecessary weight!